NSSLGlobal has announced a record breaking, four-year, multi-million enhanced contract for communication and entertainment services with Teekay, one of the world’s largest marine energy transportation, storage and production companies. 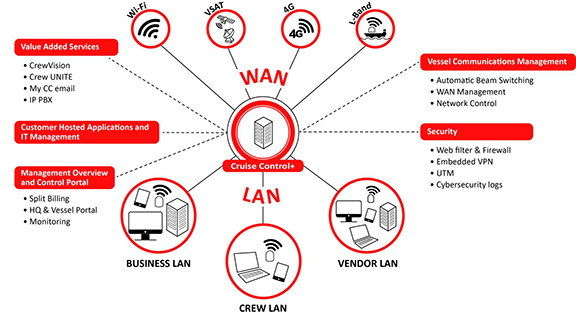 The latest contract will provide an upgraded bandwidth capability across the Teekay fleet alongside the installation of NSSLGlobal’s new virtualized Cruise Control+ appliance and the rollout of CrewVision, the company's crew entertainment service. This new contract cements the longstanding relationship between NSSLGlobal and Teekay that dates back to 2004. The winning formula stems from NSSLGlobal’s commitment to prioritizing key client relationships and working closely with Teekay to align its developments to Teekay’s everyday needs and longer-term strategic objectives. Sally-Anne Ray, CEO, NSSLGlobal, said that the company has been working hard on a smooth transition of the firm's recent acquisitions into the NSSLGlobal family and the staff in Singapore, UK, Norway and Germany have produced a winning formula as to how we work seamlessly as a team to support global customers. 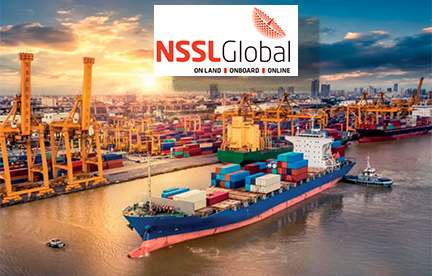 Digitalization and cybersecurity is now an everyday reality for Teekay and NSSLGlobal is extremely proud that the company will continue to play a key role in Teekay’s ability to manage all vessel comms, safety, security and crew welfare benefits for the next four years. Maintaining such a strong 15-year relationship can never be taken for granted. It is built firmly on an absolute commitment to customer service and an agile approach to innovation that ensures the company is laser-focused on engineering the value-added services and breakthrough technologies like our Satlink modem, our Cruise Control+ and our INSIGHT Portal that set us apart from the competition. Deborah Sloan, Contract/Category Specialist, Strategic Development, Teekay, noted that as a communications partner to Teekay for 15 years, NSSLGlobal has developed a hugely valuable understanding of the company's business and have proven their ability to deliver a robust and flexible service that continues to exceed expectations and to plan for future requirements. The cybersecurity assurance and IT managed services provided by the Cruise Control+ upgrade will help us to eliminate some of the challenges created by digitalisation and give us more freedom to focus on each vessel’s operational and crew welfare priorities.